How you nourish your lawn depends a lot upon your “turf philosophy.” A wide range of choices is available, from totally organic to traditional synthetic products—and combinations in between. Whatever your philosophy on type of care, it’s useful to begin by having your soil tested. The cost is nominal and it’s easy to do: There are both mail-in and drop-off labs you can use. Cornell University Extension in Valhalla will do pH testing, and they can also direct you to a source for more extensive testing (914-285-4620). 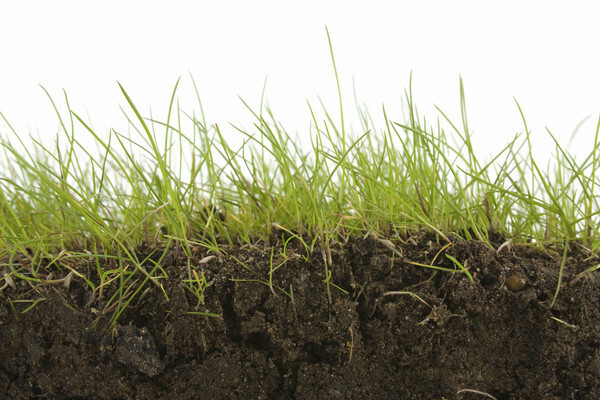 Once you have a soil analysis, you can fertilize with the products that are right for your property. In fertilizing lawns, less is often more. I see too many people (sometimes including landscapers, unfortunately) dumping large amounts of products on lawns, without understanding what the turf actually needs and can absorb. 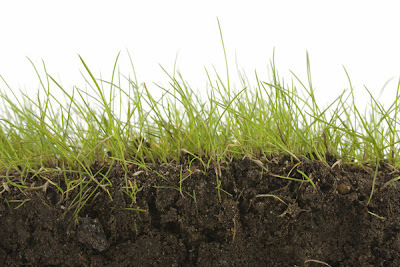 The goal is to create a healthy lawn ecosystem, which will ultimately lead to less use of soil amendments. (See my last blog about the value of core aeration and composting.) When you add too much of some synthetic fertilizers, it will either wash through the soil unused or actually damage the turf by “burning” the grass. One of the advantages of organic products is that they are far less likely to damage turf. Organic fertilizers break down slowly and gradually release their nutrients to improve the structure of the soil. This means that it will take longer to see results from organic products; the soil improvements from organic fertilizers will ultimately lead to improved turf, but it could take a couple of seasons. In order to expedite this process, some organic lawn care specialists (including my company, Almstead), “brew” Compost Teas that contains live beneficial microorganisms. This liquid compost can be used to add these organisms directly to the soil, offering a boost to the organic soil improvement process. One of the questions I’m often asked is, “How much and how often should I fertilize?” This depends on your lawn goals, available time (assuming you’re doing it yourself) and budget. In general, 2 pounds of nitrogen is the right amount for per 1,000 square feet of lawn in our area, but soil testing may modify that proportion for your property. The rule of thumb for timing is to fertilize around Memorial Day and Labor Day—and that’s not a bad plan. We have many clients who are happy with the results of a twice-per-year fertilization program. On the other hand, more frequent fertilization visits allow us to narrowly target the growing cycle of the lawn and tailor nutrition to weather and conditions. So we also offer a six times/year schedule (organic, traditional or mixed). That level of attention usually leads to a lawn that looks lush, plush and close to perfect. Patience and consistency are important in developing beautiful turf: your lawn won’t go from scrub to velvet in a single season. Consistent care, including proper mowing and watering, will help your lawn look great. Next week, I’ll discuss another important issue: controlling weeds.